The whole world seems just a swipe away. But with all these apparent benefits, most have not stopped to ask: does technology make people happier? One explanation for putting so much trust in tech, is the high expectations people have about future technological breakthroughs. There's so much that remains to be desired: from self-driving cars to frictionless shopping experiences. But will technology be able to live up to those expectations or are we in for a massive disillusion? And while trust is steadily shifting, our perception of what is real and what is not continues to be disrupted. Facebook, Twitter and Google have primarily based their business models on advertising. These so-called attention merchants are massively publishing clickbait content and fake news to draw us in. Can we really put our trust in their code organizing our lives while losing grip on the truth? These are the questions we will address in this year’s edition of the Sogeti Executive Summit. We will bring together a group of visionary thought leaders and executives from many different industries for a strategic dialogue to develop a perspective on ‘In Code We Trust’. It is with great pleasure that Sogeti’s Executive Management cordially invites you to attend the Annual Sogeti Executive Summit – US Edition that will take place in Chicago, Illinois on August 2-3, 2018. The Sogeti Executive Summit – US Edition will start with a lunch on Thursday, August 2, and will end after lunchtime on Friday, August 3. The venue for this event is The LondonHouse, Chicago. For additional information about the program, the speakers and the venue, as well as a report on the 2017 edition of the event, we invite you to visit the Sogeti Executive Summit website at www.us.sogeti.com/summit2018. Tim Cannon is an American software developer, entrepreneur, and biohacker based in Pittsburgh, Pennsylvania. He is best known as the co-founder and Chief Information Officer of Grindhouse Wetware, a biotechnology startup company that creates technology to augment human capabilities. Cannon has spoken at conferences around the world on the topics of human enhancement, futurism, and citizen science. He currently has a radio-frequency identification(RFID) tag in his hand and magnetic implants in a finger, wrist, and tragus, causing him to be labeled a cyborg by media outlets including Business Insider, Newsweek, The Awl, and others. Andrew Keen is one of the world’s best-known and controversial commentators on the digital revolution. He is the author of three books: Cult of the Amateur, Digital Vertigo and his current international hit The Internet Is Not The Answer which the London Sunday Times acclaimed as a "powerful, frightening read" and the Washington Post called "an enormously useful primer for those of us concerned that online life isn't as shiny as our digital avatars would like us to believe". He is executive director of the Silicon Valley innovation salonFutureCast, the host of the popular Internet chat show "Keen On", a Senior Fellow at CALinnovates, a columnist for CNN and a much acclaimed public speaker around the world. James is a vice president and principal analyst at Forrester Research and the foremost analyst tracking and defining the power and impact of digital disruption on traditional businesses. His consumer models identify the ways consumers have embraced digital experiences and platforms, and his strategy models help companies prepare to serve those consumers. He applies this knowledge to a wide variety of industries, from consumer media to consumer technology, from financial services to retail and consumer products. In February 2013, James published his book Digital Disruption: Unleashing the Next Wave of Innovation. Sandra Matz is a computational social scientist and personality researcher who studies human behavior and preferences using a combination of Big Data analytics and traditional experimental methods. Moran Cerf is a professor of neuroscience and business at the Kellogg School of Management and the LIJ department of Neurosurgery. Additionally, he is a visiting faculty the MIT Media Lab, and the Alfred P. Sloan screenwriting Professor at the American Film Institute. He holds multiple patents and his work has been published in wide-circulation academic journals such as Nature and Science, as well as popular science journals such as Scientific American Mind, Wired, New Scientist and more. Additionally, his work has been portrayed in numerous media outlets such as Time, CNN, BBC, Bloomberg, NPR, MSNBC and dozens of others. Recently, he was named one of the "40 leading professors below 40”. Most importantly, he is right handed. Luciano Floridi is the OII’s Professor of Philosophy and Ethics of Information at the University of Oxford, where he is also the Director of the Digital Ethics Lab of the Oxford Internet Institute. Outside Oxford, he is Faculty Fellow of the Alan Turing Institute (the national institute for data science) and Chair of its Data Ethics Group; and Adjunct Professor (“Distinguished Scholar in Residence”) of the Department of Economics, American University, Washington D.C. His research concerns primarily Information and Computer Ethics (aka Digital Ethics), the Philosophy of Information, and the Philosophy of Technology. Other research interests include Epistemology, Philosophy of Logic, and the History and Philosophy of Scepticism. Christiaan Triebert is an award-winning journalist interested in conflict and development. Besides his research, Christiaan provides worldwide training in digital forensics on behalf of Bellingcat. He has conducted fieldwork in Syria, Iraq, and Ukraine, among many other countries. He graduated from the War Studies Department at King’s College London, after obtaining two bachelors degrees in International Relations and Political Philosophy at the University of Groningen. Based in Palo Alto, CA, Risto leads the global Idean management team, covering: design, operations, sales, marketing and finance. Idean is a global design firm that works with the world's leading companies, helping them to create long-lasting relationships with their customers, through truly enchanting and elegant experiences. The design firm which was founded in Finland in 1999. Dan leads outbound-facing Product Management for the Database, Analytics, and Artificial Intelligence services portfolio. He also leads key strategic customer programs, including data migration with the Database Migration Service and architectural guidance through the Customer Solutions Advisory Team. 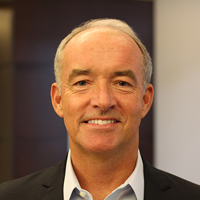 Dan joined AWS in 2017 after being President and CEO of a storage spin-out from Samsung Electronics, where he was previously an SVP in the Samsung Strategy and Innovation Center. He joined from NetApp, where he was the SVP of the Datacenter Solutions Group, a global engineering organization with high ecosystem engagement. Prior to NetApp in 2013, Dan held several GM roles at Microsoft including building their Enterprise Architecture and cloud migration programs, while leading the Cloud Strategy team in Microsoft’s Services Division. He also led Microsoft SQL Server and BizTalk Server marketing, including SQL Azure and .NET Services, and held senior leadership roles in Program Management, Business Development, and Strategy since joining in 1995. Dan started his career developing defense-related simulations, including real-time air-combat engagement systems with pilots-in-the-loop and computer-driven aircraft. Dan has an EE degree from Gonzaga with Liberal Arts honors and a Chicago Booth MBA with Marketing and Finance concentrations. Digital Happiness is rapidly becoming the new frontier of competition. Enhanced by a customer centric mindset, it is experience and emotion that are today’s differentiators. Technology empowers organizations to read these emotions, to persuade people with hyper-personalized touchpoints in response, and to directly impact their happiness. Parallel to this, the behaviors of customers and employees are shifting towards that which elevates happiness and purpose, making the prudent use of this technology even more important. The advanced state of digitization today requires a holistic approach with the ultimate question in mind: do the product, service, and organization contribute to the Digital Happiness of the customer? Is your product or service superior to those of your competitors when viewed through this lens of Digital Happiness? In this white paper we explore two key questions. First, how does digital technology impact our individual happiness? And second, what role do organizations have to play as guardians of the happiness of their customers and employees? Click here to view event presentation slides.